Do you get ever get angry? Are there things which seem to always trigger you? 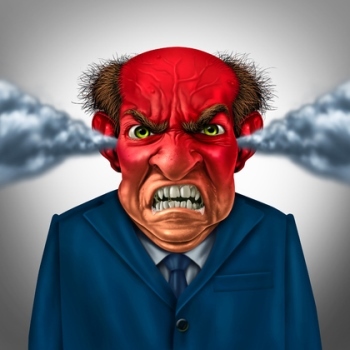 Many people experience feelings of crossness, bad temper, anger, or even extreme rage on a regular basis. Often they feel totally powerless to prevent it. The creator of PSTEC™ (Tim Phizackerley) set out solve this very common problem. The result is a tool to shift an entire mindset both subconsciously and consciously. … also to end habitual anger patterns and “outbursts” …no matter how extreme. It doesn’t use hypnosis or anything like it. Unlike Tim’s Click Tracks there isn’t any tapping or concentrated effort either. There is also literally no effort, you just sit back and listen, which means you simply need to hear it … and that’s all. “I created this for other people but the effect its had on me, even as it’s author, has been deeply profound. Nothing could ever have prepared me for the effect this has had. In the months since I recorded this, I’ve experienced week after week of deep inner peace. There’s no tapping, no movements, no hypnosis and no strong concentration needed, you literally just listen … so what’s the secret? In 2016, Tim updated his language model extensively and he did this in order to gain even more effectiveness with even less user effort. “No More Anger” uses Tim’s latest and most advanced technology. The language used in “No More Anger” cuts through conscious barriers so cleanly that it’s now totally indistinguishable from ordinary, totally natural, spoken language. There’s nothing to distract you and nothing to block it. This means it delivers its message with tremendous power. It also means that to get “No More Anger” working it’s magic for you, you simply need to hear it in order to quickly and effectively dismantle your unwanted anger patterns. “No More Anger” will come to you as three MP3 files with instant download. It’s easy to use but it will make you think deeply to experience a genuine inner peace. Note: As with all self help interventions results may vary person to person.